Happy Sunday! I hope everyone’s is having a nice and relaxing weekend. 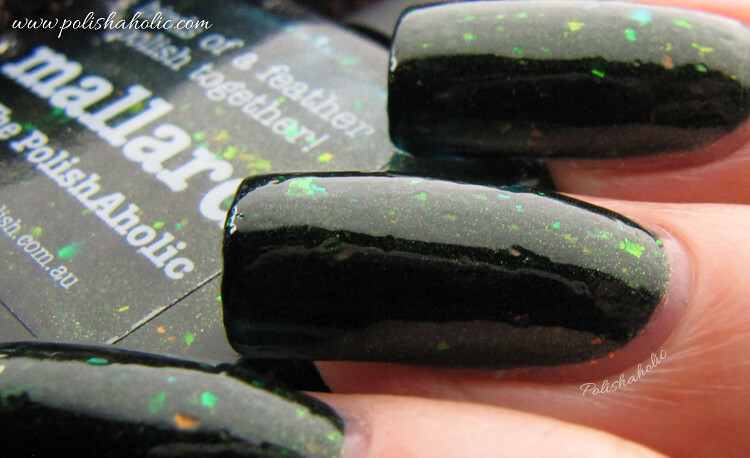 Today I have swatches of a gorgeous piCture pOlish for you. This polish is one of my absolute favorites. piCture pOlish Mad Magenta is a very vivid magenta creme that really gets peoples attention. I’ve got more compliments for this simple manicure IRL than anything else for quite a while. Oh, how I love piCture pOlish! This is Wisteria, a flawless lilac creme. I love this kind of shades! Soft and bright at the same time and they look oh so good against my skin tone. Hello, hello! I have a new favorite hot pink! Holy crap this polish is awesome! piCture pOlish Sizzle by Cosmetic Sanctuary is just amazing in every way. The color is in your face bright hot pink and the formula is just perfection. I mean this practically applied itself. Opaque with two coats and quick dry time. This also has a very subtle scattered holo effect that is only visible in direct sunlight. So here are the first “official” swatch photos that I took on all natural nails (these photos still show the swollen pregnancy fingers that are also now back to normal). There are some iPhone shots that can be seen on my IG that were taken before these. And can I just say YAY! It was a looooong road to get here but I didn’t give in and apply the gel back on my nails. We’ll see what the winter and freezing weather brings with it though :P Either way I don’t see the super long nails coming back soon since it’s a nice change to have shorter nails now. 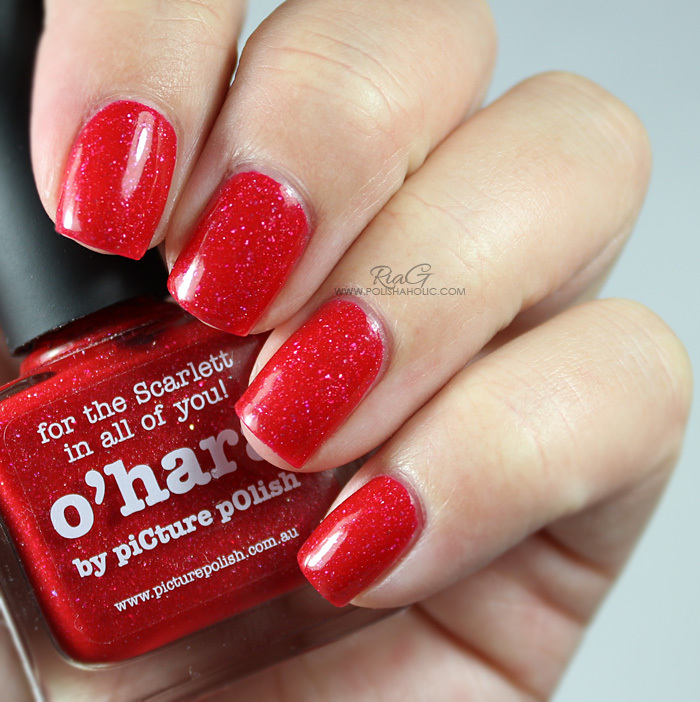 Then let’s move on the beauty that is piCture pOlish O’Hara, stunning red crelly with a scattered holo effect. Such a gorgeous polish! Unfortunately I don’t have photos taken in direct sunlight but trust me, the holo goodness is there. The formula on this was perfect! Easy and smooth application with a quick dry time. I really appreciate great quality polishes like this one right now cos the time I have to do my nails is so limited at the moment. For this manicure I used a coat of Sally Hansen Nail Rehab, a coat of Glisten & Glow Stuck On Blu! base coat, two coats of O’Hara and HK Girl top coat. ***This polish was purchased by me. So here we are, first post of 2014. 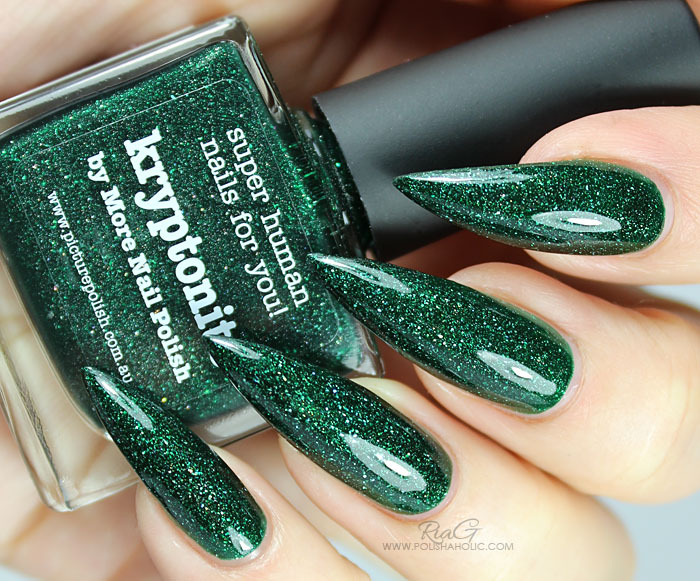 Let’s get this party started with one of my biggest lemmings of 2013, piCture pOlish Kryptonite. I was drooling over this for most of the year and for some reason I ended up waiting till the end of the year to get it. But it’s mine now and I couldn’t be happier!! This is one of the most awesome greens ever. Could even be the best green ever made! Perfection in a bottle!! 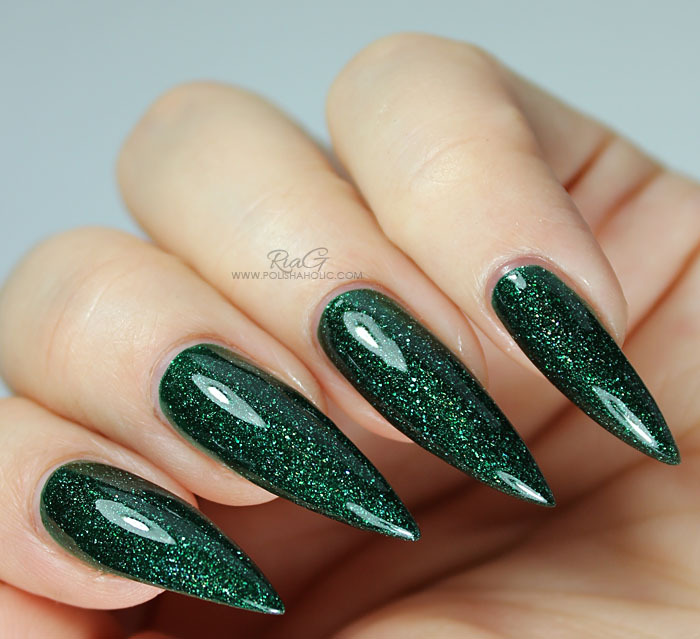 This is a deep green jelly with a subtle scattered holo effect, a lot of shimmer and tiny flakies. The formula on this is just perfect. I applied three smooth and easy coats, with shorter nails you can get away with two coats. Dry time was also quick. I love this shade to death! It is so beautiful! 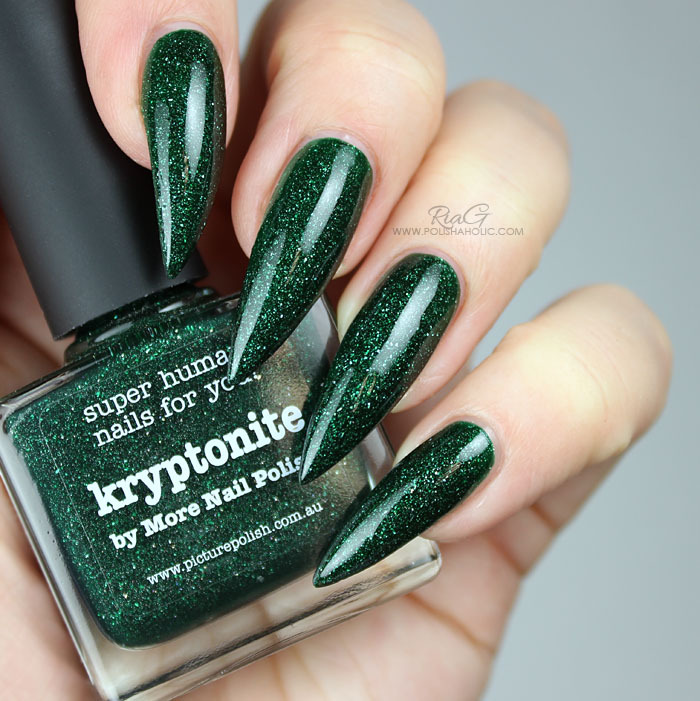 On this manicure I used three coats of Kryptonite with HK Girl top coat. In Europe piCture pOlish is also available at Norway Nails. Use the code POLISHAHOLIC for -10% off. ***Kryptonite was purchased by me. HK Girl was gifted to me. I don’t benefit from clicking any of the links on this post or use of the discount code. I bought my first piCture pOlish bottle a while ago, it was Mallard. 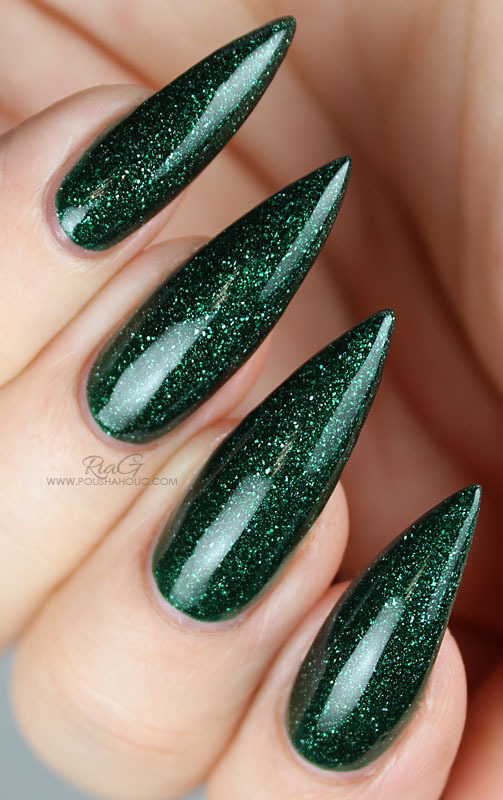 This polish is created with The PolishAholic blogger. I really love seeing these blogger collaborations. Who would have better knowledge of what shades are unique and still missing from the nail polish universe than a true polishaholic? Mallard was released as a limited edition shade but has since been added to the permanent range, where it truly deserves it’s spot I might add. 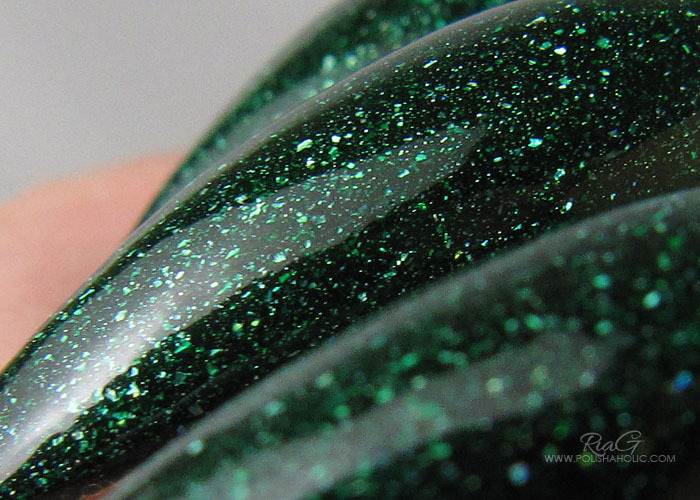 I’m still praying to the nail polish goddesses to give me a change to get my hands on another very popular shade, piCture pOlish Kryptonite. Please go read The PolishAholic’s original post where she shares the lovely story behind this polish. I got my bottle from Harlow & Co. Mallard is sold out at the moment but since it’s now part of a permanent collection you can get yours later when it’s back in stock.